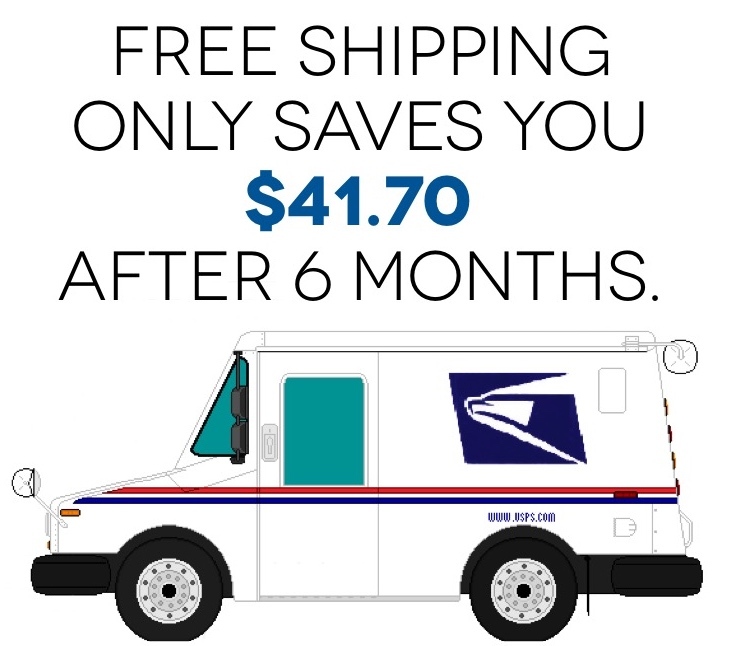 How Our Unique Step Down Pricing Saves You MORE MONEY than FREE SHIPPING! At Calton Nutrition our goal is to create the highest quality, most innovative products in the world, and to make them affordable for you. When pricing our products, we looked at all sorts of options to help you save money, including free shipping, but we finally decided that our unique step down pricing system saves you the most money. In fact, you can save up to 110% more than the value of free shipping simply buy purchasing multiple units at one time. And why not, if you know you love one of our products, why not buy it in bulk and save a lot of money? So how much more can step down pricing save you over free shipping? Let’s look at this two ways. First, we’ll examine how much you would save if you purchased one box of nutreince per month for 6 months and received FREE SHIPPING. Free shipping with no step down pricing. Currently, if you were to purchase one box of nutreince per month you would pay $49.95/per box plus $6.95 shipping. …AND WHILE SAVING $41.70 LOOKS PRETTY GOOD—CHECK THIS OUT! Now we will look at how much more you would save if you purchased those same 6 boxes of nutreince using our step down pricing system. With our unique step pricing when you purchase 6 boxes of nutreince at a time you only pay $39.95/per box rather that $49.95. This makes your 6 box purchase of nutreince, plus the $14.25 for shipping, a total cost of $253.95. 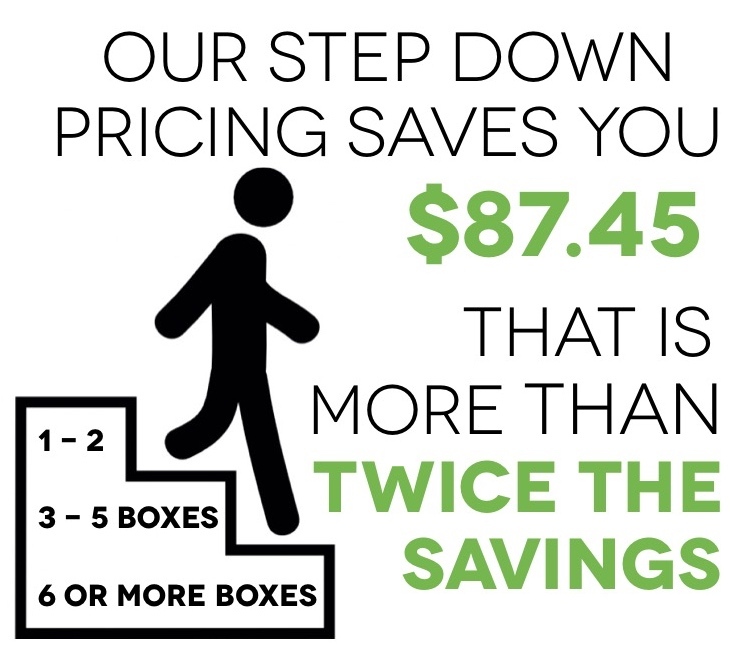 OUR STEP DOWN PRICING SAVED YOU A TOTAL OF $87.45! THAT’S $45.75 MORE THAN FREE SHIPPING – PRETTY INCREDIBLE, RIGHT?